This article about Japan's traditional chagusaba technique of growing tea is an example of the quality content sure to come from Tea Journey, a magazine currently in the Kickstarter stage. "Chagusaba" literally means "tea grass place" and refers to the integration of feed grass among tea groves. Each species gets the benefit of the other and is the better for it. Japan's chagusaba has also been designated as a Globally Important Agricultural Heritage System (GIAHS) by the Food and Agriculture Organization (FAO) of the United Nations. 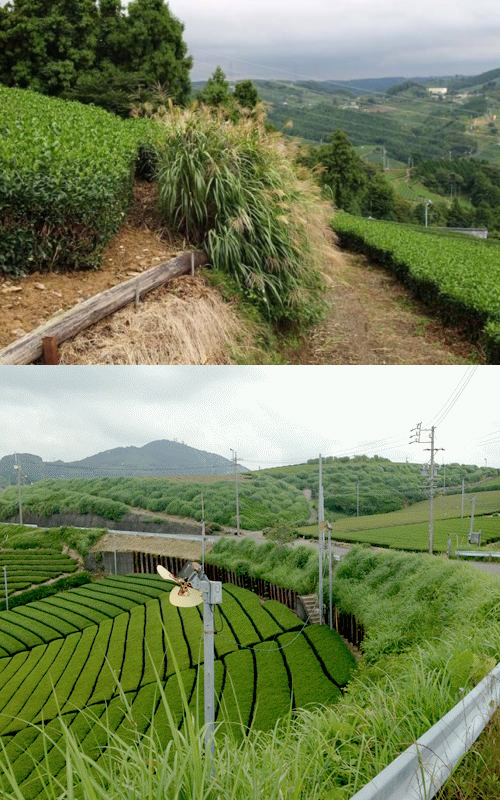 Two examples of chagusaba — from the Kakegawa City website and Shizufan, where the image is an animated gif highlighting the crass growing between the tea groves.